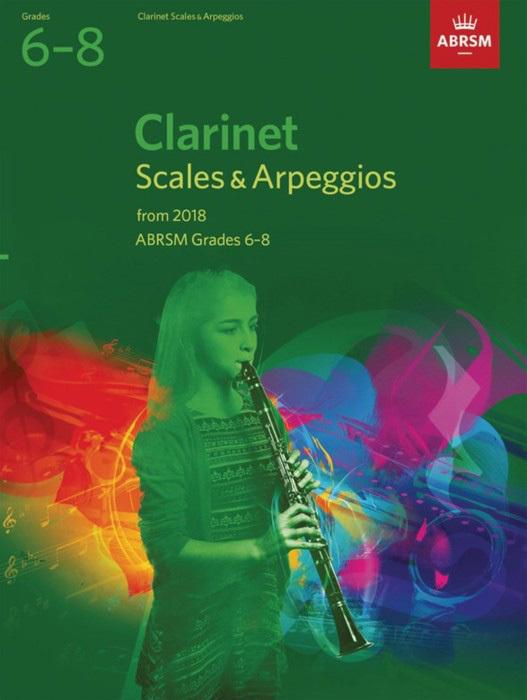 Clarinet Scales and Arpeggios from 2018, Grades 6-8. ABRSM. This book contains all the scales and arpeggios required for ABRSM's Clarinet exams at Grades 6-8. It features all the new requirements from 2018, arranged in grade order.